Thank you to our Media Partners, who offer discounted advertising and marketing opportunities to our Membership. Media Partners must be recommended and approved by our Board of Directors. Media Partners can also sponsor on event, present to our Members at our Annual Meeting or promote their services through our print and online advertising vehicles. By aligning with The ADCC, our Media Partners have access to a large, committed and successful client base. Media organizations wishing to partner with The ADCC should complete a Business Partner application. Questions? Please contact Executive Director Tammy Hauser at 612-578-0952 or email tammy@theadcc.org. ADCC Members: Log in to Members Only area for details on exclusive ADCC discounts. Inside Dance delivers an all-new, all-access, fresh take on the world of dance. 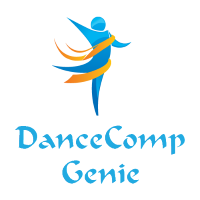 From the competition side at the Studio, School (high school and college) and All-Star level to conventions, tours and the commercial and professional side of dance, iD has all of the bases covered. With insightful articles from dancers, choreographers, instructors, directors, dance and talent competition producers, stylists, health experts and more, the magazine offers the inside scoop from the world of dance, all with breathtaking photography. Though dance itself takes center stage, Fashion/Costumes/Dancewear and Health & Fitness also play a pivotal role in each issue.